Getting fingers burnt by hot wax was once all in a day’s work for a graphic designer. 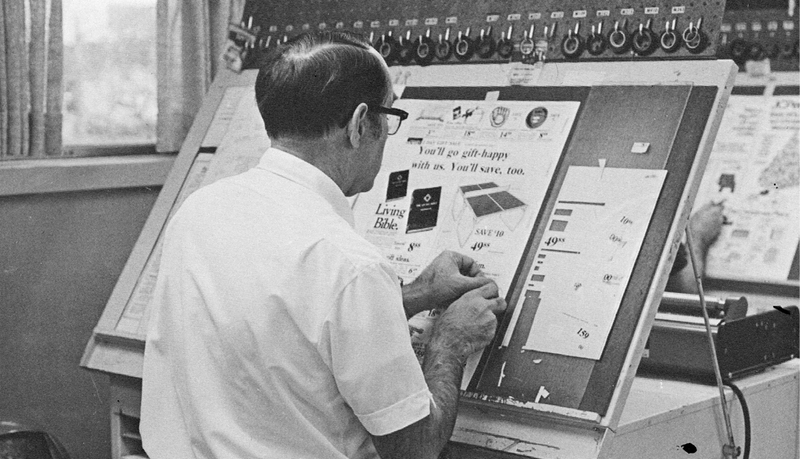 Before the computer came along, designers used a tool known as a waxer to coat a paper with the hot adhesive before sticking it on a page layout in a manual process known as the paste-up. No doubt designers are only too happy to leave this and other labor-intensive production methods in the past, but for those who still get misty-eyed over rapidographs and Diatype machines, the new documentary, Graphic Means, promises to take you back to the days before desktop publishing and the digital revolution of the late ’80s.